This article illustrates how to create a recording, and assumes you have already installed and registered Local Hub on your device. 1. 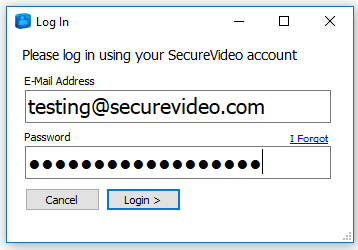 Start the SecureVideo Local Hub program. 2. 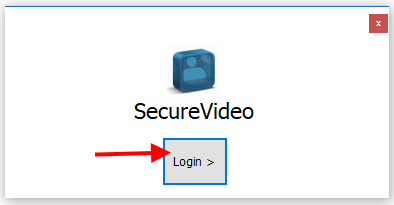 Click on the "Login" button. 4. If you have the technician role, you have the option to edit the configuration settings through "Show Configuration" (left). If you do not, you will only have the option to view the minimalist interface (right). 5. When ready to start recording, click "Start Recording" on the interface. 6. Once clicked, the recording timer will start, and the "Start Recording" button will become an "End Recording" button. 7. Click "End Recording" any time to end the recording. You will automatically be logged out of your account, but can log back in to start another recording.